In 2006, we traveled to Germany, Austria, Lichtenstein and Switzerland. Reagan was just a baby and stayed back in the states with Grannymom and Grandpa. This is the trip that we bought a Jaguar in Europe (or at least some of it.) It is also the trip that we drove up a sidewalk to visit a castle-we did have good parking at least. 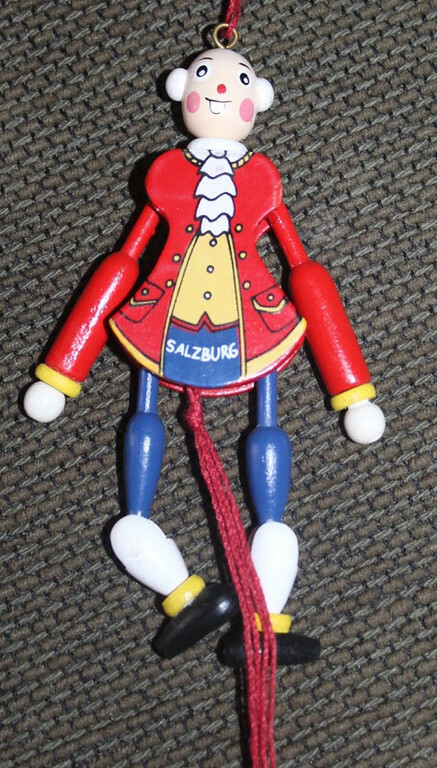 This ornament specifically reminds me of when we were running late to a Mozart performance and just changed our clothes in the middle of a square. It was a really fun trip and I would love to return.